My Little Superheroes love Mud Pudding! This simple dessert recipe is not only a scrumptious treat to eat but it is super easy for kids to make too. Pour the milk into a large mixing bowl. Add the pudding and beat with a whisk until the pudding is smooth. Add the whipped topping and gently stir. Refrigerate for about 1 hour. Place each package of chocolate sandwich cookies in a resealable plastic bag and crunch them into small pieces. We put each package of cookies into a separate resealable plastic bag so they are easier to smash and each child has their own bag. Add one of the resealable plastic bags full of crushed chocolate sandwich cookies to the pudding and stir. Scoop the pudding into serving cups. Depending on the size of the cup, we usually have 10 – 12 servings. Fill until they are about 2/3 of the way full. Fill the rest of the cup up with the crushed chocolate sandwich cookies. Add 2-3 gummy worms on top of the crushed chocolate sandwich cookies. 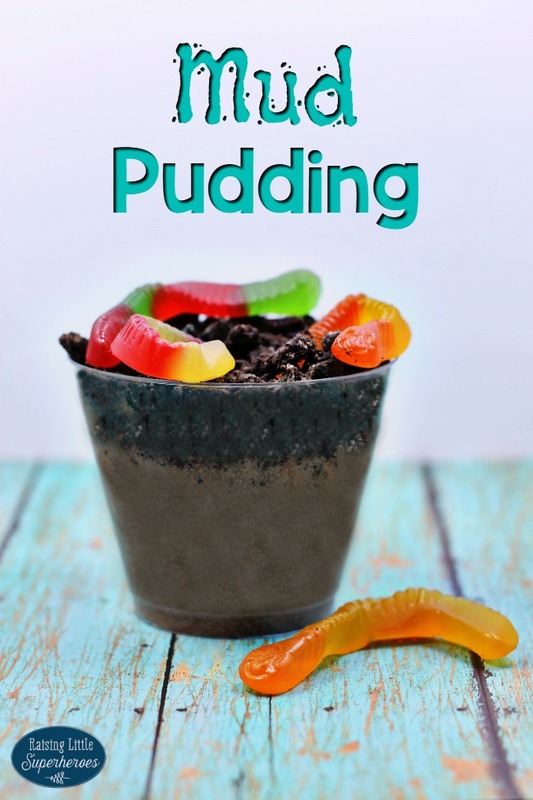 Mud Pudding is a fun and simple dessert recipe for children to make. It is the perfect treat for picnics, birthday parties, or just for fun! Follow Raising Little Superheroes’s board Simple Dessert Recipes on Pinterest. I love how kids can help with every step of the process! Just pinned! 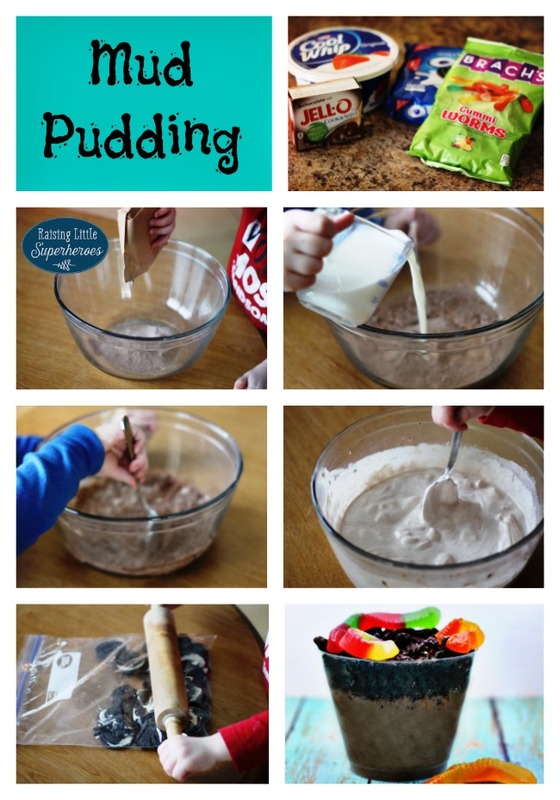 Oh my gosh, Mud Pudding was my absolute FAVORITE as a kid. Love this!